JAMES M. KOUZES is the Dean's Executive Fellow of Leadership, Leavey School of Business, Santa Clara University, and according to the Wall Street Journal, one of the twelve best executive educators in the United States. BARRY Z. POSNER, PHD, is the Accolti Endowed Professor of Leadership at the Leavey School of Business, Santa Clara University, where he served for twelve years as Dean of the School. 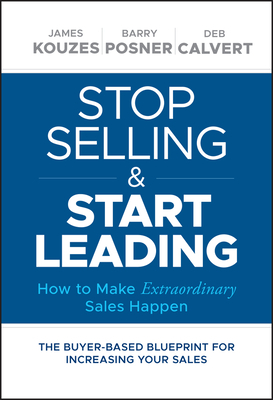 DEB CALVERT is the founder of People First Productivity Solutions and The Sales Experts Channel, and author of one of HubSpot's "Top 20 Most Highly Rated Sales Books of All Time."